Sierra. Hotel. India. Echo. Lima. Delta. SHIELD! 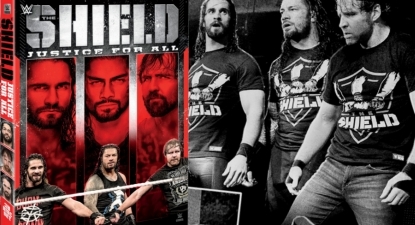 Last month we confirmed that WWE’s second DVD collection on The Shield was given the go-ahead as “The Shield – Justice For All” made its way onto the 2018 WWE Home Video schedule. Today we have a first look at the official box art! “The Shield – Justice For All” is on the way this summer and slated to include 9 hours of content that packs in around 20 full-length matches and newly-filmed interview segments with all three members of The Shield. As mentioned previously, the plan is for each Shield member – Seth Rollins, Dean Ambrose and Roman Reigns – to have their own disc in which they are the main focus. The result, a 3-disc DVD set that highlights not only The Shield’s best moments since their shock reunion in 2017 but also their greatest individual successes in recent years. The artwork for the back cover is already available too and it teases the first 5 matches confirmed for inclusion! Stay tuned, this should be followed up with a full match listing very soon. As dominant as Dean Ambrose, Roman Reigns and Seth Rollins were as a trio, they achieved incredible success on their own. Each member became WWE Champion, and competed in some of the biggest matches in WWE history. Hear from The Hounds of Justice themselves, as they discuss the impact The Shield had on their careers, and how it helped mold them into the main event players they are today. Follow the journeys of Seth, Dean and Roman as they compete against Superstars like Undertaker, Brock Lesnar, John Cena, Triple H and more! Even when apart, their brotherhood remains strong – and you never know when The Shield might reunite again to battle injustice. This is The Shield: Justice For All! – UK/Europe: July 9th. Pre-order a copy of the new Shield DVD soon on Amazon.co.uk. – USA: July 10th. Pre-order your copy of the new Shield DVD right now here on Amazon.com. – Australia: TBA. Look out for your pre-order announcement soon via Madman.com.au. A correction on our earlier reports on the “Greatest Royal Rumble”. 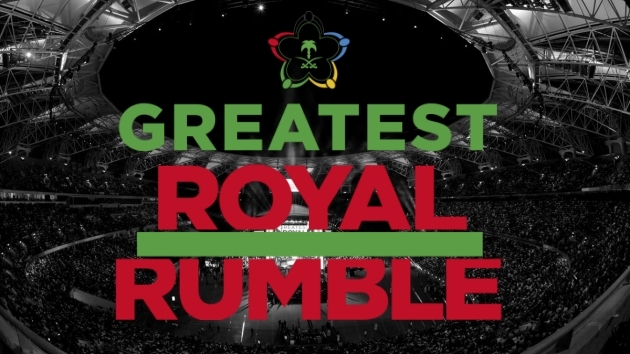 Although plans to release it as a standard PPV DVD in the next few months were scrapped there’s now talk of WWE instead releasing a “Greatest Royal Rumble” DVD that includes the complete event but also an accompanying documentary on how it all came to be and a behind-the-scenes look. So not only does this DVD appear to be BACK ON it’s being EXPANDED too. We’re hearing that as of right now that’s been pencilled in for a November release, likely as a 2-disc DVD set produced worldwide. More details once this title is fully confirmed. Speaking of PPVs and covers earlier, more artwork has come through for Backlash 2018, which will be the next WWE DVD on the horizon following next week’s “Randy Savage Unreleased”. This dual-branded WWE PPV played host to a number of memorable bouts including Daniel Bryan vs. Big Cass, Alexa Bliss vs. Nia Jax, The Miz vs. Seth Rollins, Randy Orton vs. Jeff Hardy, and Shinsuke Nakamura vs. AJ Styles. It’s scheduled to hit stores on DVD across the United States on June 12th. Pre-order yours for a reduced price of $14.99 (down from $18.96) by clicking here to Amazon.com. 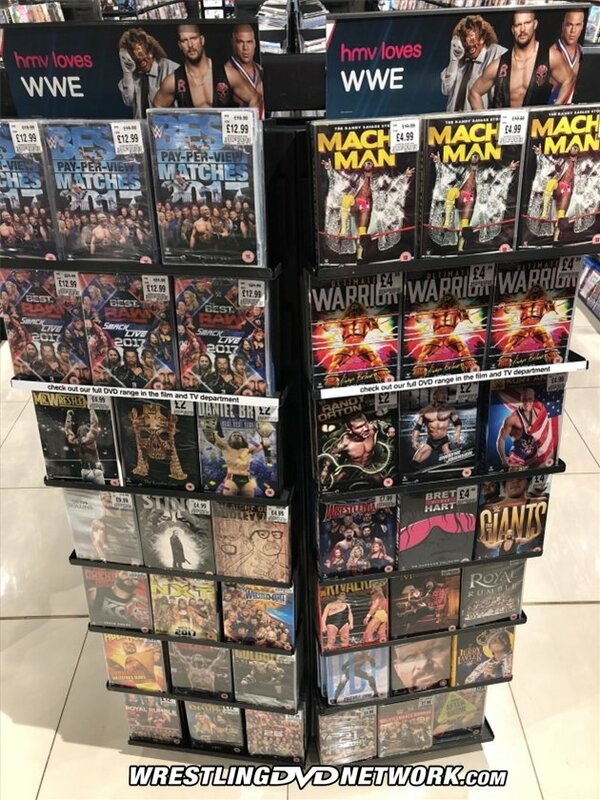 MIDWEEK MADNESS: Those aren’t the only special offers on WWE DVDs in the UK right now. For 24 hours only you can pick up the “True Giants” DVD for only £3.99. Don’t miss out – head to WWEDVD.co.uk to take advantage of this “giant” deal while it’s still around. Wasn’t the new Shield DVD supposed to feature unreleased matches only? You can get some of the titles from the HMV sale for the same prices at Amazon.co.uk. I don’t remember anything being said Unreleased matches only, no. We did post some news that it would have some previously unreleased matches (https://bit.ly/2GNpPNb) but not that it would only feature those. Then I must have misunderstood something. 🙂 I sure hope there are a bunch of unreleased matches on it. THANK YOU, THANK YOU THANK YOU ! YES, ‘THE GREATEST ROYAL RUMBLE’ will be on d.v.d.and will have a behind the scenes bonus feature. Don’t understand why their waiting until november to put it out but as long as it’s coming out, who cares? Oh, both the front and back cover of ‘THE SHIELD’ d.v.d is awesome. You’re right, news about the Royal Rumble title is great, I’m just not too bothered since there’s no blu-rays ne more – I know, all I do is complain about this! Lol! I guess they’ll never bring out the blu-rays again though. Ne way, If it’s an entire Royal Rumble event that their planning to bring out, my favourite would probably be one from the early 90’s! It’s hard to choose a single great Royal Rumble PPV! It’s the event The Greatest Royal Rumble ,that happened right after Wrestlemania. It’s an honest mistake. The card was pretty cool. Oh my god! My bad! Thanks for tellin me! I’ve stopped watching wrestling for a long time now so I didn’t even know about the Royal Rumble ppv! I only look out for the blu-rays or rather the dvds now! Lol @ virtual fisticuffs via the Internet. Depends on how many continents are between you, surely. Rehan, the next time you have a thought…Let it go. lol I was quoting Ron White, but this was funny. And you have a great day too. I’m guessing the behind-the-scenes stuff will be the 13 minute video that WWE posted on Youtube a few weeks ago. Likely an additional 60 minutes of WWE patting themselves on the back on how they spearheaded the Saudi Arabia progression and are the reason the country is making huge changes…..but conveniently omit how Saudi still treats women like dogs, the death penalty to homosexuals still exists, female athletes still can’t preform in a crowd and not to forget in order for women to attend public events they need a man to accompany and babysit them like children and many other basic human rights Saudi Arabia doesn’t allow. Careful David. There may be some progressives on this board who will call you racist for truthful comments like that. We all know people can’t handle reality and factual information. Looks good. Too bad it might not be worth buying due to the content. The Shield return was blah. Agreed. I get why this DVD may have been conceived when they came up with the idea for the reunion, but when the reunion bombed they should’ve pulled the plug on this one in the same way they did the Shane set. There’s always stuff from their first run, plus their solo careers. I’m not giving up just yet.